Part of the award winning Stellar Collection - the Stellar Cabinet is inspired by the precious qualities of naturally forming amethyst geodes and machine cut diamonds. 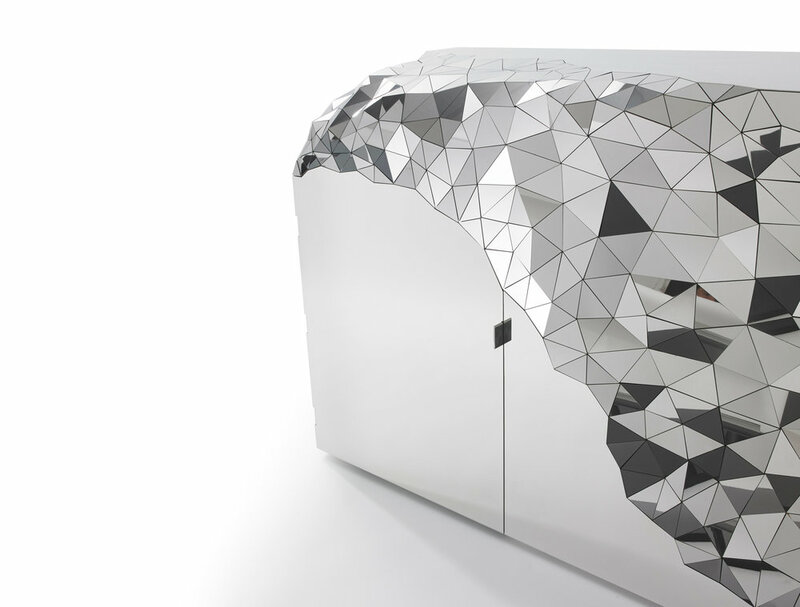 The large expansive surfaces on the cabinet are in stark contrast to the turbulent seam of individually sized and angled mirrored sections that run through them. - Two internal storage areas, each with a polished brass lining, internal Stellar detailing, and a height adjustable glass shelf.